Flat package and light weight. 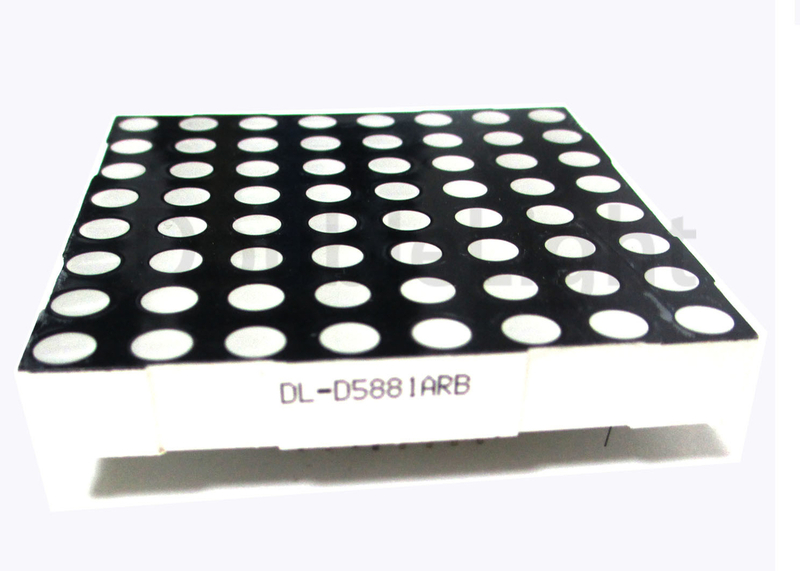 The DL-D50881 series is a large emitting area (5.0mm diameter) LED sources configured in a 64 dots 8*8 matrix array. These devices are made with white dots and black surface. 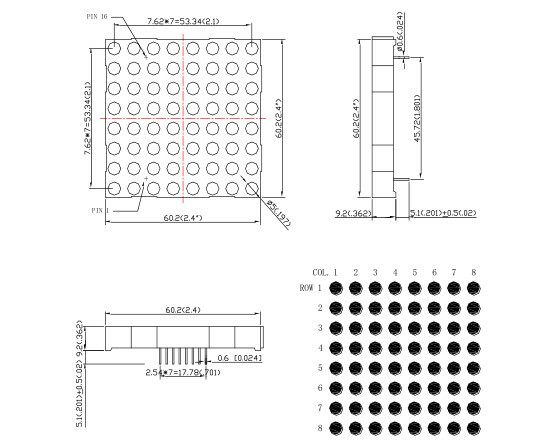 Luminous intensity is measured with a light sensor and filter combination that approximates the CIE eye-response curve. The dominant wavelength (λd) is derived from the CIE chromaticity diagram and represents the single wavelength which defines the color of the device.